Clean, wash and drain poha. 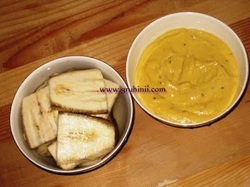 Add a table spoon of sour curd to it. Mix it well and leave it aside. Mean while boil potatoes, peal and mash them. Grind green chillies and ginger to fine paste. 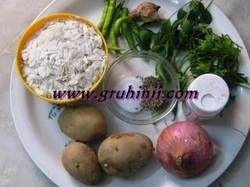 Now Add the mashed potatoes, ginger-chilly paste, chopped onions, coriander and curry leaves, hing, salt to taste, jeera and maida (or rice flour) to the soaked poha and mix well. Heat oil for deep fry in a pan. Take a lemon size ball of the mixture on your palm. 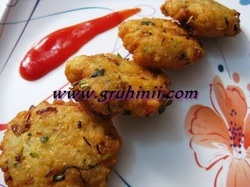 Pat and make small vadas. Deep fry them in oil until they turn to golden brown. 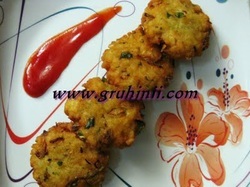 Place them on an absorbent paper, and serve them hot with tomato sauce or any chutney. 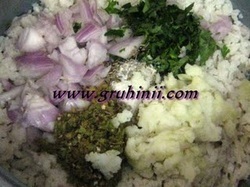 Tasty Atukula Vadalu/Pohe ke vade are ready. Enjoy ! !